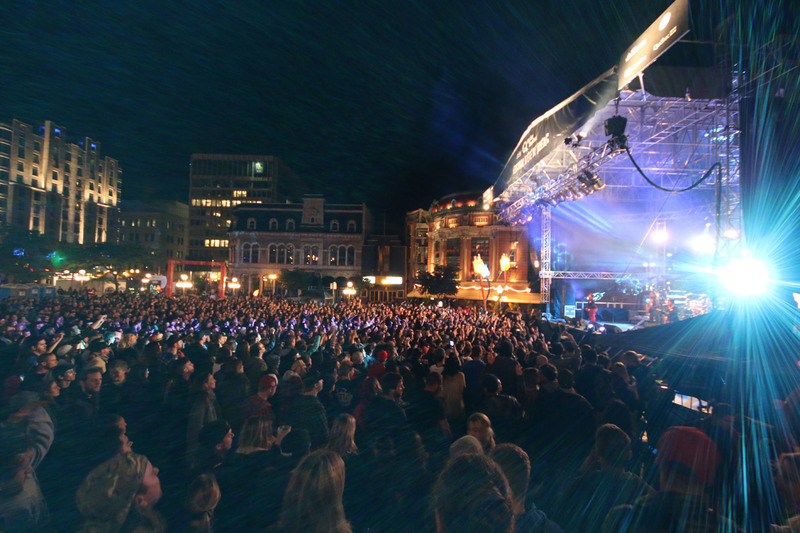 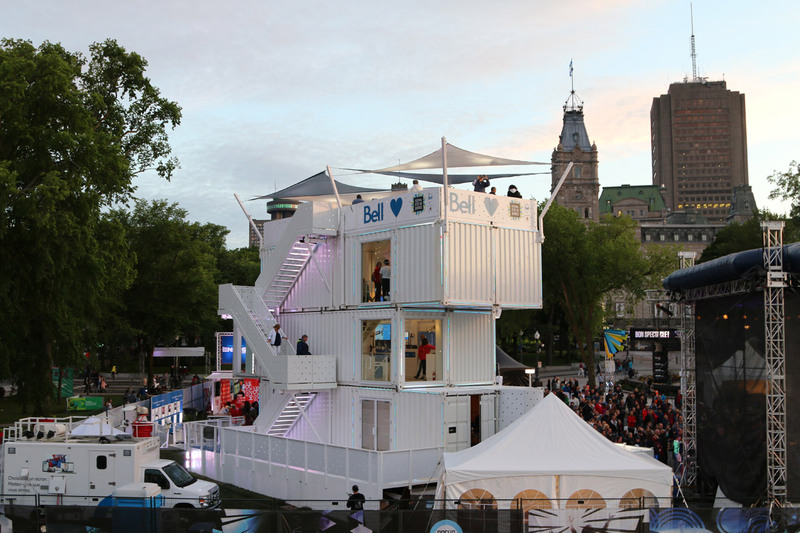 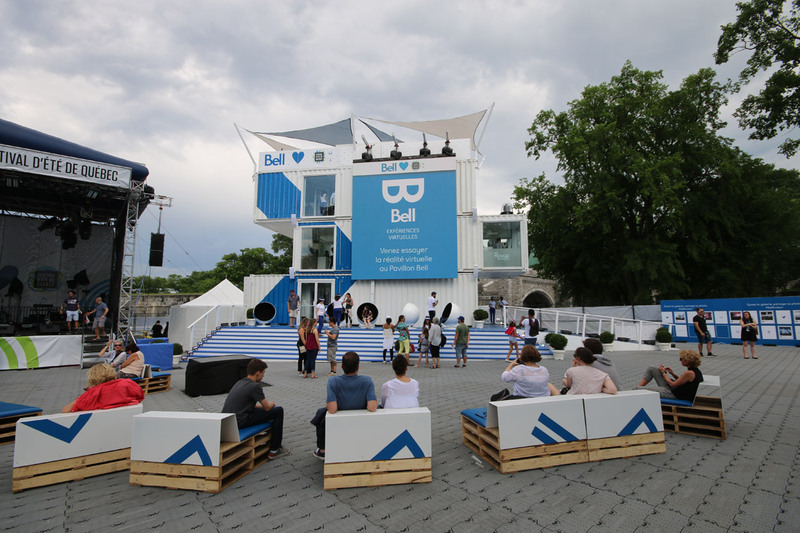 The Quebec City Summer Festival (FEQ) is one of the world’s largest music festivals and every year Bell, as the major sponsor, aims to create an impact in line with its investment. 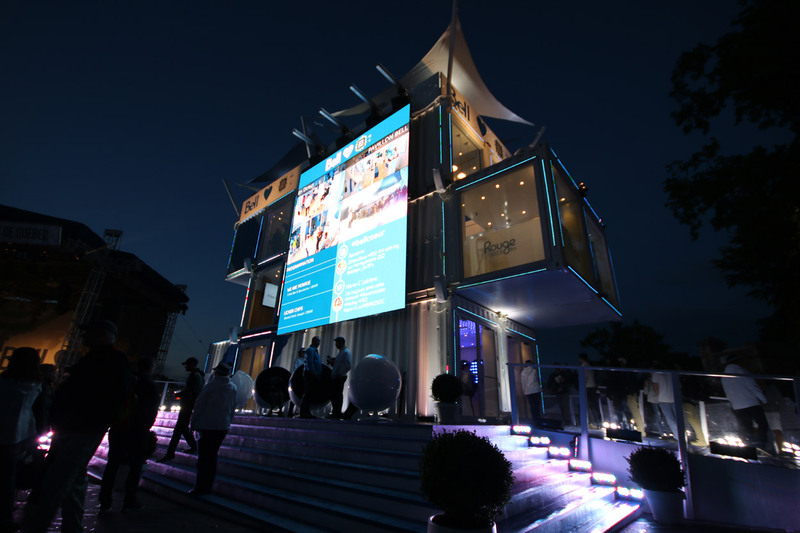 So every year Bell turns to Loki and its customized multiplex BB2 unit… and the result speaks for itself. 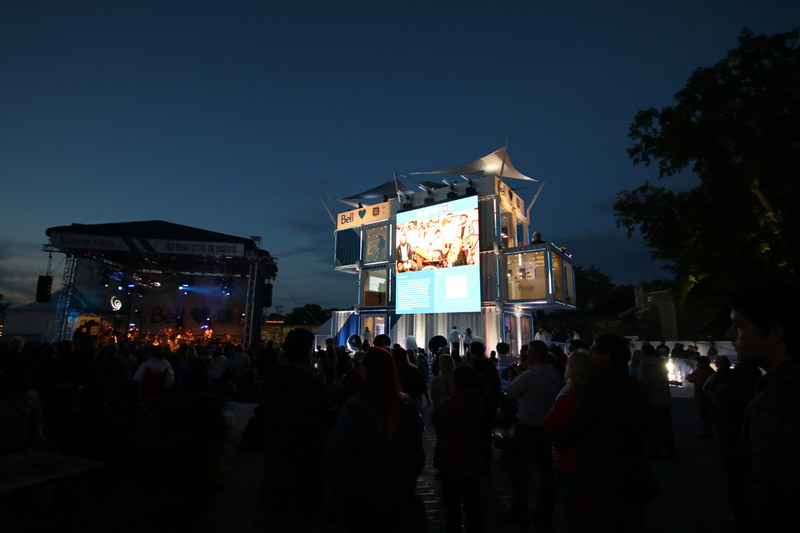 At the very epicenter of the festival, the soaring Bell installation becomes a point of reference and gathering place for throngs of festival-goers, who stop by to take a tour and catch various musical acts carried on the unit’s giant screens. 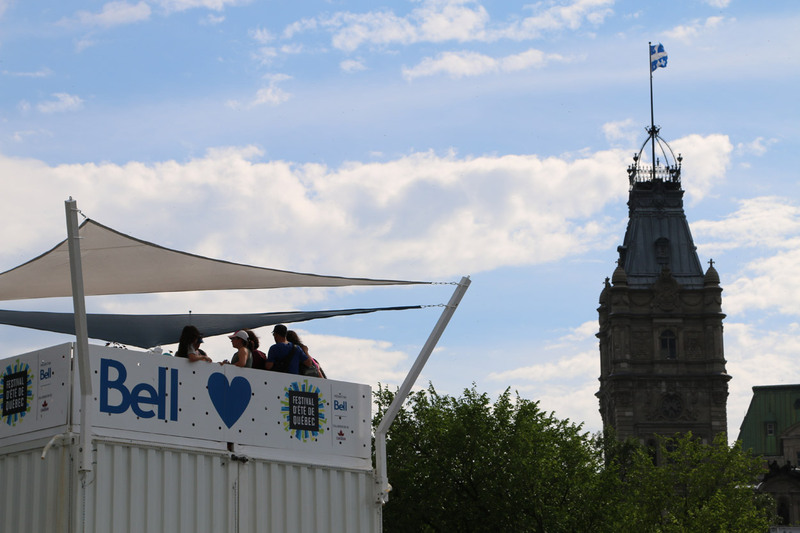 The site is known as the Cœur du Festival and between its crowds, encircled food trucks and multiple activities that take place around Bell’s unit, it truly becomes the beating heart of the festival each year. 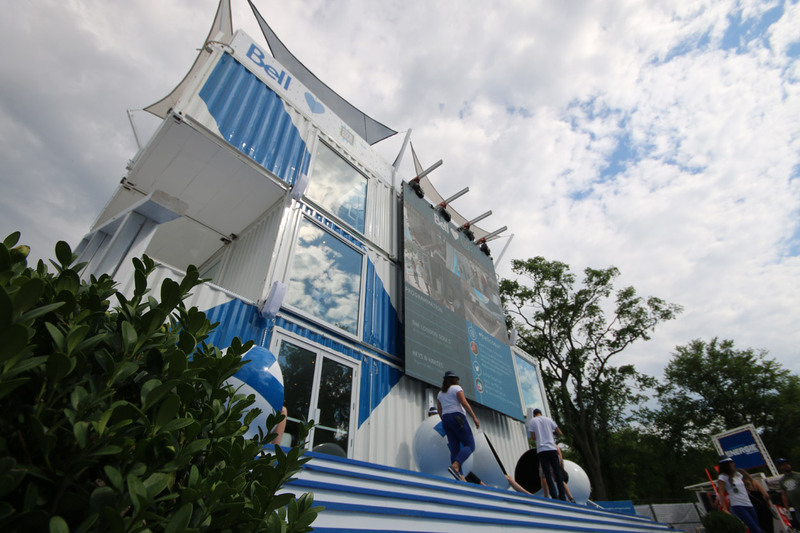 To keep its presence fresh year after year, Bell relies on Loki’s expertise in mobile, modular construction and customizability. 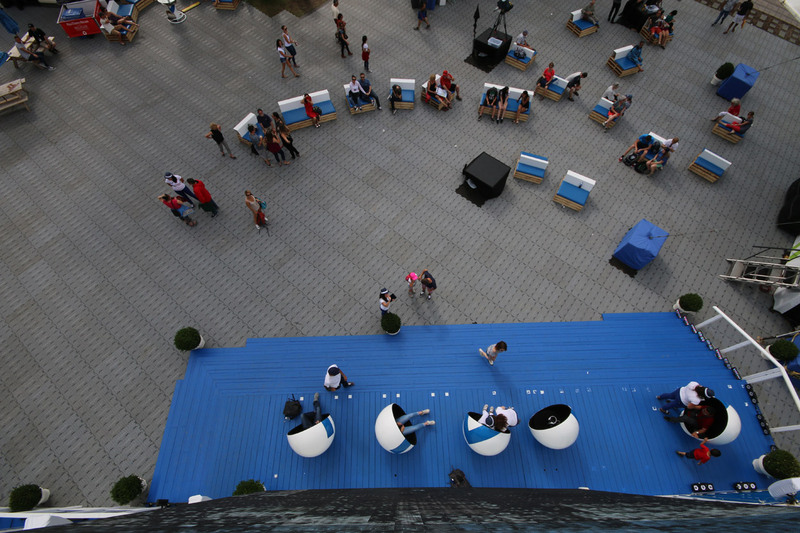 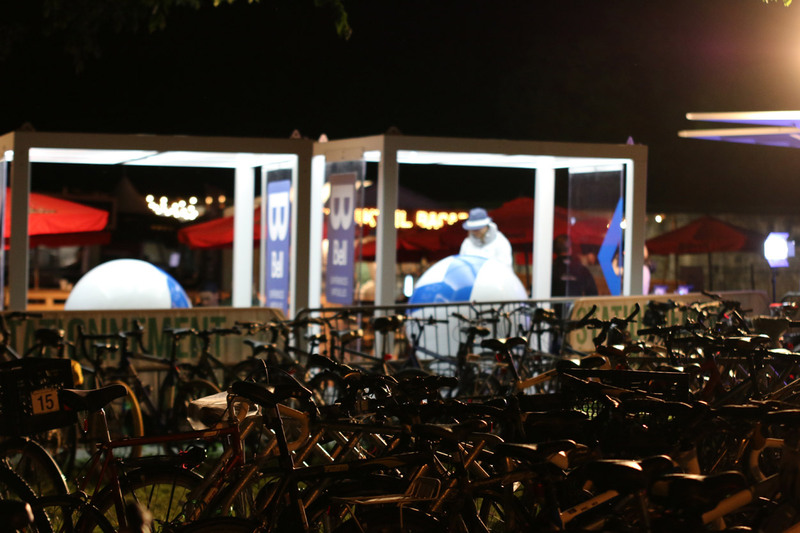 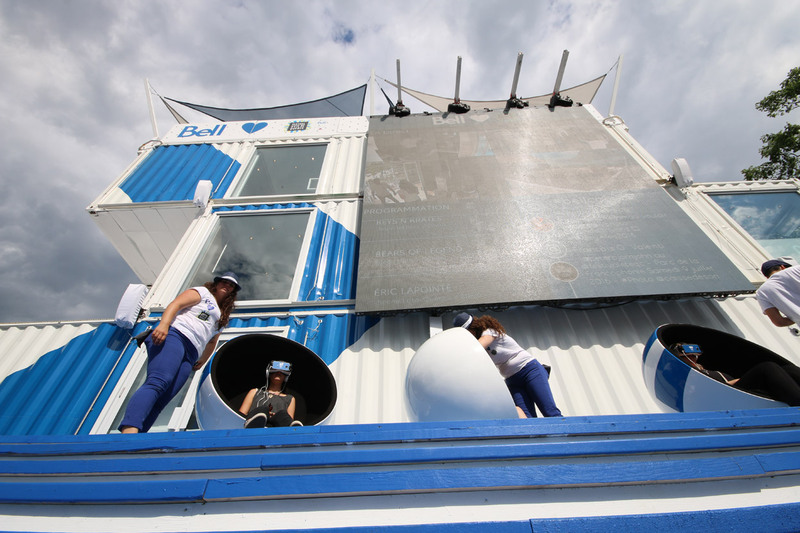 The result is a branded installation that truly has no comparables anywhere in the world of event marketing. 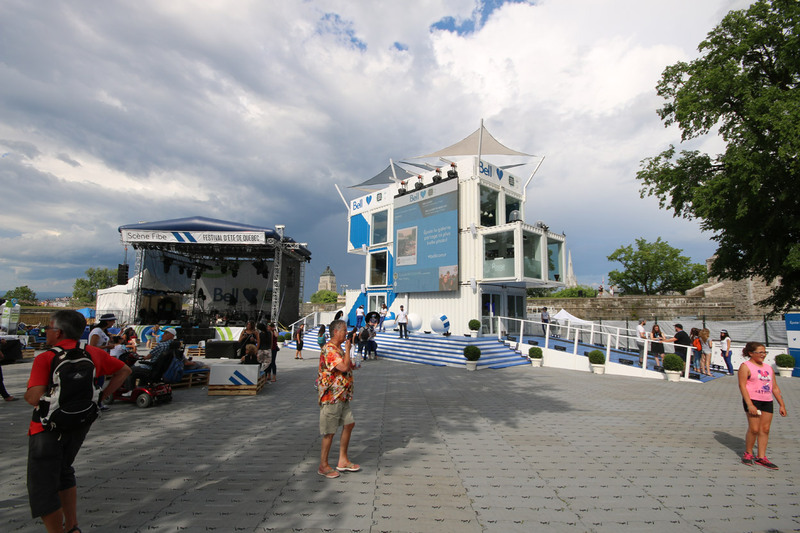 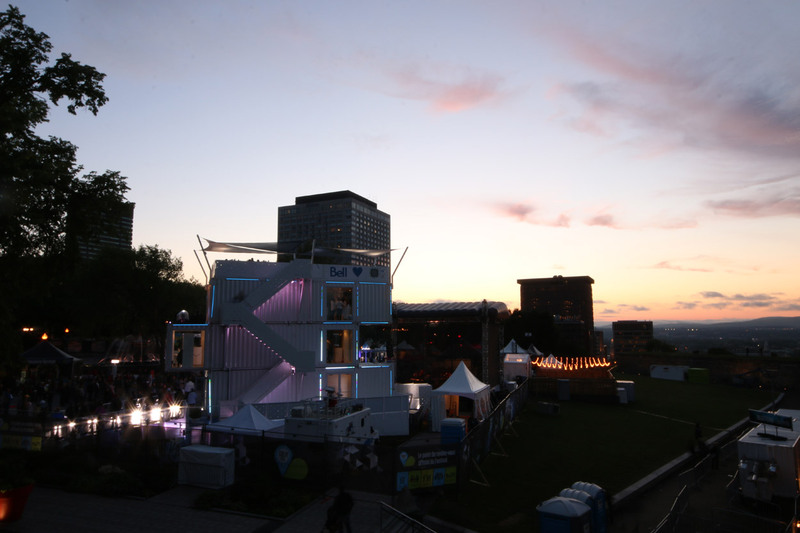 For 2016, the unit, with its 3-stories and rooftop deck, featured a number of dedicated spaces, including a Karaoke stage, music studio, VR space, a lounge and a studio for radio remote broadcasts. 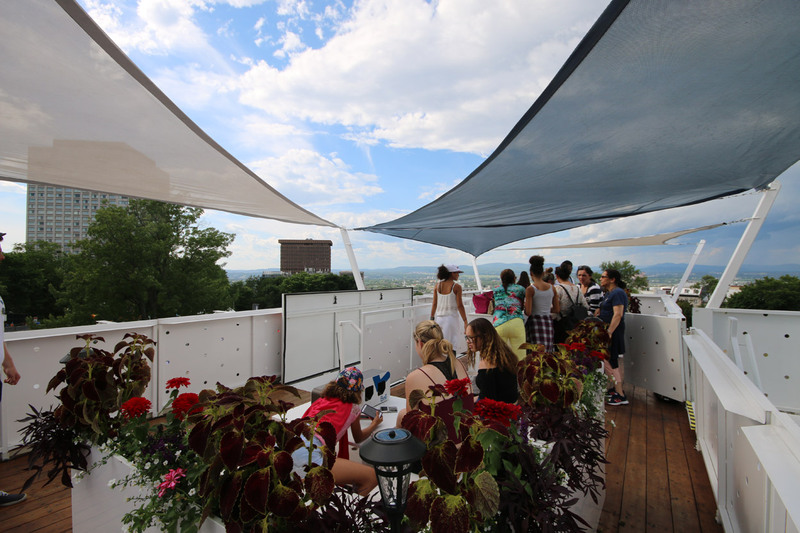 Access/egress design and interior stairs kept traffic flowing smoothly and the ascent to the incredible views from the roof top deck fast and efficient. 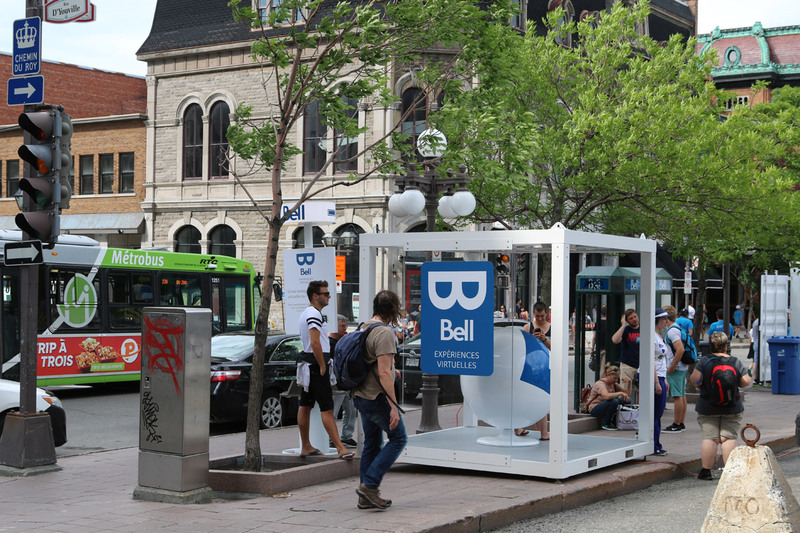 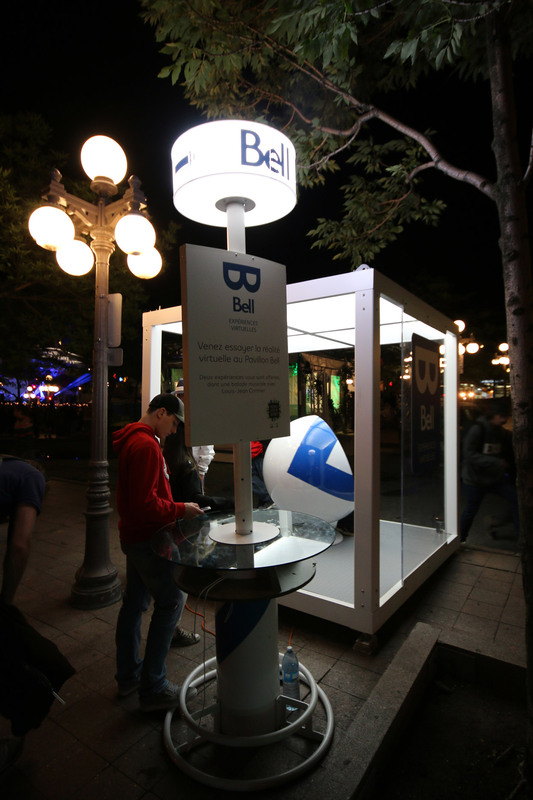 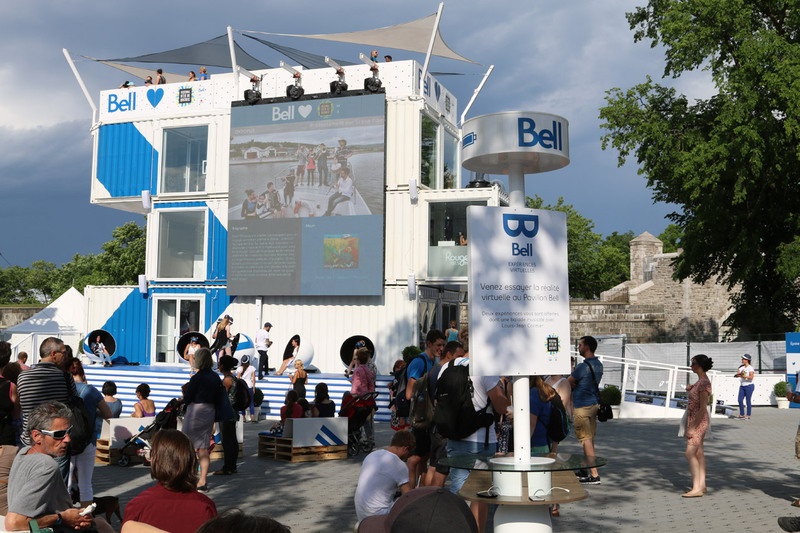 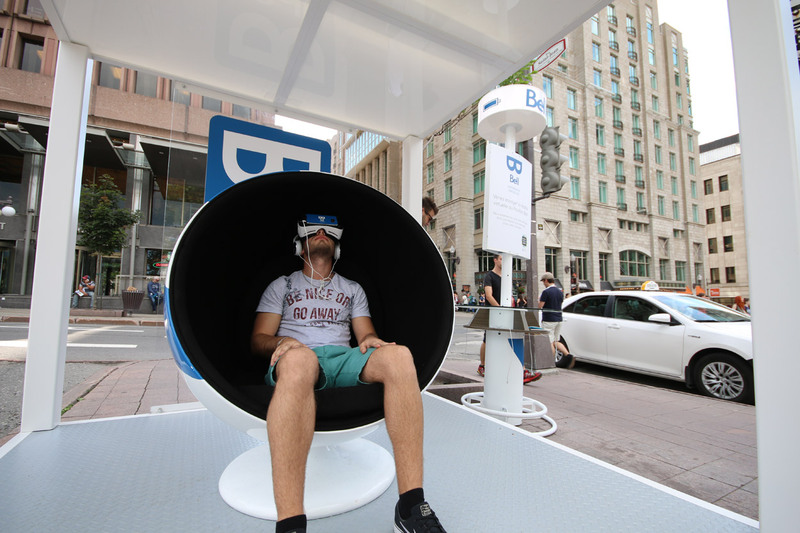 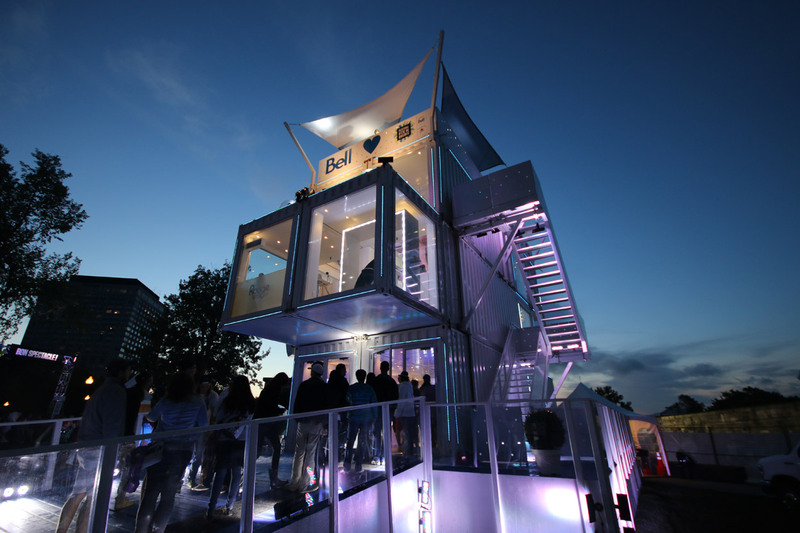 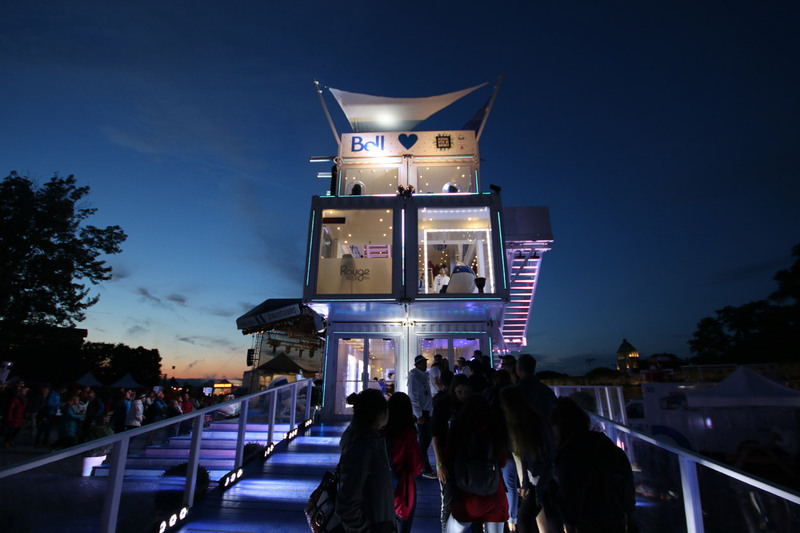 Every feature of the unit was designed to provide an enhanced experience of the festival and a more meaningful engagement with the Bell brand.Once again in 2016, Loki pulled out all the stops to give Bell and music fans a festival experience to remember.